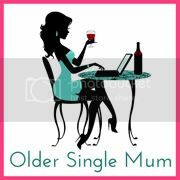 Older Single Mum: Here We Go Again! I am thrilled to announce that, shortly, there will be a new series of Single Mums' Stories here on this site. In case you're new-ish, please see HERE (and always, otherwise, on the bar at the top) for the last Series that got this blog nominated for the Britmums Award for 'Change' and the MAD Award for 'Inspire.' You can read about some of your favourite bloggers and what their interpretation of being a single mum has meant / means. There are roughly two million single parents in the UK, of which 98% will not be the teenagers that spring to mind naturally in association with that term, according to what the media might have us believe. That's around one in four British families that are now headed up by people like us, normal mums and dads striving to do the very best for our kids, with just as high expectations, hopes and dreams for them, despite finding ourselves in a scenario we didn't expect to. 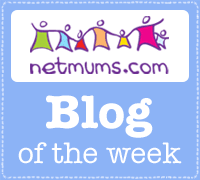 Look out for posts from the very fine notsupermum, the very friendly and five times World Mind Mapping Champion, Elaine from Mortgage Free in Three and the very foreign situation of Midlife Singlemum. Plus, breaking news, Tah-Dah, the utterly nothing-short-of-fabulous-in-any-department Kate from WitWitWoo has joined the crew too! At the very least they're are going to make interesting reading. And if you familiarise yourself with those stories already told, you'll be aware that some of them can even blow your mind. Your perception of who single mums and dads are will be forever altered and my job might be being done! [Figures from GINGERBREAD, a fantastic national charity that offers advice and support for single parents. They are currently campaigning for the government and employers to make working a more realistic option for those of us who, again, go against the national notion that we might not care to!]. And while we're here, talking about starting again, please welcome a new addition to the site - a specialist dating service for mums and dads who wish to do exactly that! Excellent series - and very glad to hear it's coming back! Looking forward to the first post! X. Thank you too. You were both a great support the first time round. Thank you Liska. Have a feeling it might push your buttons! Thank you Sarah - and of course, you were one of the first!